We all have at least a few friends who are constantly on the go, jet setting, and always planning the next trip or adventure. 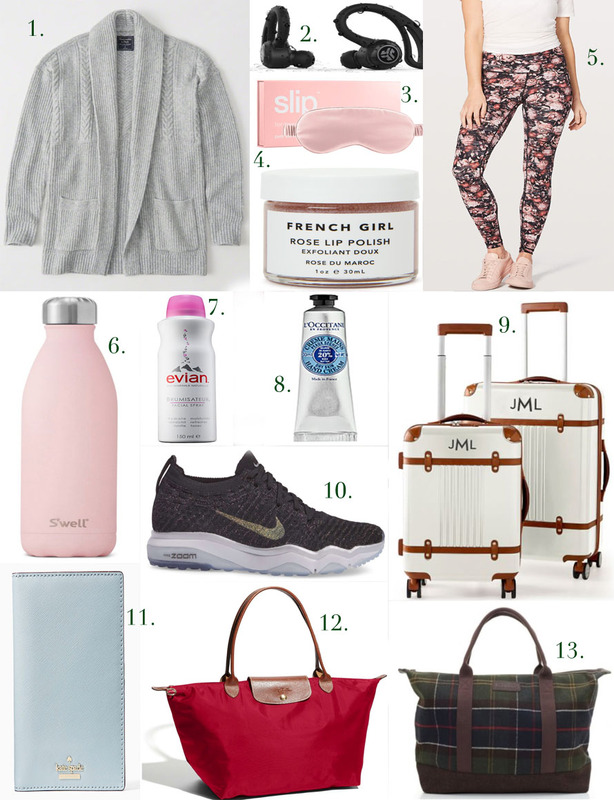 There are so many beautiful carry-on luggage pieces out this year and fun travel accessories out right now that I simply could not resist putting together a gift guide for the traveler in your life! If you are still in need of some Christmas shopping inspiration here’s where to shop the above For The Traveler Gift Guide! Click on the name of the item below to be directed to the website. Thanks a lot for this helpful guide! Happy to see you enjoyed this gift guide!! I love longchamp bags. I have quite a few for when I go travelling and buy more than I expected! Longchamp is one of my must have bags for travel - it comes it so handy and in so many ways! Fantastic guide dear! I followed your cute blog. Thank you so much for the follow! I will be sure to stop by your blog later on! I love that luggage. So pretty! That luggage is my favorite at the moment! These are good gift ideas. I love the red bag. I have a Longchamp bag and it is amazing how useful it is for travel!